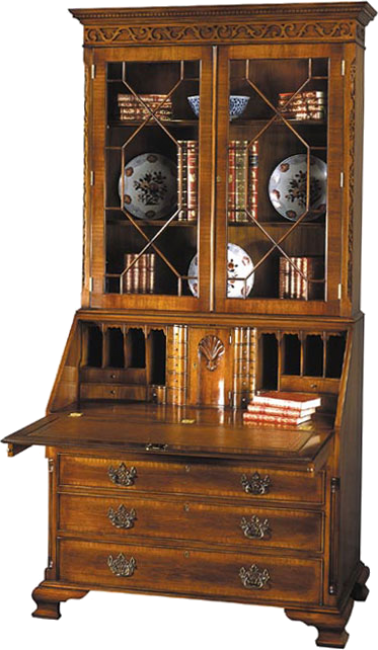 Secretary with fretwork carving, two Astragal glazed doors with adjustable shelves. The lower section features a leather writing surface and fitted interior. Two short drawers and three long drawers, antique brass hardware. Ogee bracket feet. Available with lights and glass shelf inserts. Pictured in Mahogany.